Vysnova Partners, a global health project management firm, was recently awarded the Southeast Asia Biosurveillance and Epidemiology Research (SABER) II program to provide support for the Naval Medical Research Unit 2 (NAMRU-2) based in Singapore. Vysnova is currently the holder of the program’s precursory contract. SABER II is a single award IDIQ with a $38 million ceiling. It provides support for NAMRU-2 to evaluate novel diagnostics products and therapeutic interventions, test disease control strategies, and develop local expertise to detect and respond to emergent disease threats. As the holder of the contract, Vysnova will support the ongoing development, performance and management of research across the Southeast Asia region in collaboration with host-country partners. The SABER II contract ensures the continuation of our efforts to understand and combat malaria, Zika, MERS-CoV, and other vector-born illnesses. In addition to working with NAMRU-2 to develop preventative measures against infectious diseases and improve disease surveillance efforts, Vysnova is also working with NAMRU-2 under the Operational Research Support Across Southeast Asia to specifically target malaria infection. Some of Vysnova’s other work in this field includes helping to conduct malaria indicator surveys as a subcontractor to ICF under the seventh phase of the Demographic and Health Survey (DHS) Program for the U.S. Agency for International Development (USAID). 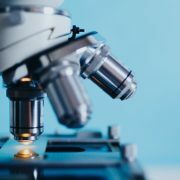 Furthermore, Vysnova works with the Department of Health and Human Services at the Center for Disease Control and Prevention (CDC) to work with in-country partners in South America to perform testing and enhance surveillance in order to better understand and fight Zika infection in pregnant women and their children. Vysnova is honored to continue to work with our in-country partners and the Navy in reducing and preventing infectious diseases and improving the health of communities in Southeast Asia. WASHINGTON, D.C., November 01, 2018 – Washington Business Journal announced at their 75 Fastest Growing Companies® awards that Vysnova Partners, Inc. (Vysnova) is No. 7 on its Fastest Growing Companies ranking. Vysnova also ranked No. 3 in the Washington Business Journal’s ranking of the top 10 fastest growing companies by employee growth, with an astounding 1,400% growth from 2015 to 2017. Vysnova Partners, Inc. (www.vysnova.com) is a leading provider of program management, public health research, acquisition support, and healthcare staffing to Federal clients. Vysnova prides itself in delivering services that improve global understanding of infectious diseases and enhance the quality and delivery of health services through innovation. With a diverse team of project managers, subject matter experts, and technical staff, Vysnova uses evidence based, yet practical, solutions for better and stronger outcomes. The Fastest Growing Companies program has been around for over twenty years and this year there were over 2,000 private, locally based companies being considered for the list. This year, the Washington Business Journal decided to showcase 75 companies rather than its usual 50, revealing promising growth in the region. The 2018 Fastest Growing Companies is ranked according to percentage revenue growth 2015 to 2017. To qualify, companies had to be headquartered in the Greater Washington area, privately held, and independently owned. The minimum revenue required for 2015 was $2 million and the minimum for 2017 was $10 million. 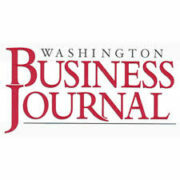 Companies on the Washington Business Journal’s top 75 are featured in their special publication on November 2. An un-ranked listing can be found at www.bizjournals.com. NEW YORK, August 15, 2018 – Inc. magazine today revealed that Vysnova Partners, Inc. (Vysnova) is No. 1,211 on its 37th annual Inc. 5000, the most prestigious ranking of the nation’s fastest-growing private companies. The list represents a unique look at the most successful companies within the American economy’s most dynamic segment—its independent small businesses. 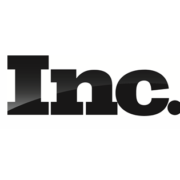 Microsoft, Dell, Domino’s Pizza, Pandora, Timberland, LinkedIn, Yelp, Zillow, and many other well-known names gained their first national exposure as honorees on the Inc. 5000. Not only have the companies on the 2018 Inc. 5000 (which are listed online at Inc.com, with the top 500 companies featured in the September issue of Inc., available on newsstands August 15) been very competitive within their markets, but the list as a whole shows staggering growth compared with prior lists. The 2018 Inc. 5000 achieved an astounding three-year average growth of 538.2 percent, and a median rate of 171.8 percent. The Inc. 5000’s aggregate revenue was $206.1 billion in 2017, accounting for 664,095 jobs over the past three years. Complete results of the Inc. 5000, including company profiles and an interactive database that can be sorted by industry, region, and other criteria, can be found at www.inc.com/inc5000. Vysnova Partners, Inc. (www.vysnova.com) is a leading provider of program management and products to Federal clients. Vysnova Partners, Inc. prides itself in delivering services that improve the quality and delivery of health care through innovation. With a diverse team of project managers, subject matter experts and technical staff, Vysnova uses evidence based, yet practical, solutions – for better and stronger outcomes. The 2017 Inc. 5000 is ranked according to percentage revenue growth when comparing 2013 to 2016. To qualify, companies must have been founded and generating revenue by March 31, 2013. They had to be U.S.-based, privately held, for profit, and independent—not subsidiaries or divisions of other companies—as of December 31, 2016. (Since then, a number of companies on the list have gone public or been acquired.) The minimum revenue required for 2013 is $100,000; the minimum for 2016 is $2 million. As always, Inc. reserves the right to decline applicants for subjective reasons. Companies on the Inc. 500 are featured in Inc.’s September issue. They represent the top tier of the Inc. 5000, which can be found at http://www.inc.com/inc5000. Founded in 1979 and acquired in 2005 by Mansueto Ventures, Inc. is the only major brand dedicated exclusively to owners and managers of growing private companies, with the aim to deliver real solutions for today’s innovative company builders. Winner of the National Magazine Award for General Excellence in both 2014 and 2012. Total monthly audience reach for the brand has grown significantly from 2,000,000 in 2010 to over 18,000,000 today. For more information, visit www.inc.com. The Inc. 5000 is a list of the fastest-growing private companies in the nation. Started in 1982, this prestigious list of the nation’s most successful private companies has become the hallmark of entrepreneurial success. The Inc. 5000 Conference & Awards Ceremony is an annual event that celebrates their remarkable achievements. The event also offers informative workshops, celebrated keynote speakers, and evening functions. For more information on Inc. and the Inc. 5000 Conference, visit http://conference.inc.com/. SEPT 2018 – Vysnova Partners, Inc. (Vysnova) just announced the opening of Vysnova Partners Singapore Branch (VPSB) a local branch located at AXA Tower, 8 Shenton Way, Level 34-01, Singapore. The primary focus of this regional branch office is to enhance our ability to support our program management and medical research services in the region. With existing translational research and other medical surveillance programs across all of South East Asia, Vysnova’s Singapore team is perfectly positioned to ensure timely operational responses to our US Military clients. This significant step on Vysnova’s part further shows our commitment to ensuring that we are able to provide operational and surge support in response to shifting medical priorities. Vysnova’s ongoing work in Southeast Asia includes the Southeast Asia Biosurveillance and Epidemiology Research (SABER) program which operates out of Singapore, encompassing projects in Cambodia, Malaysia, Australia, Laos, Thailand, and Bangladesh. 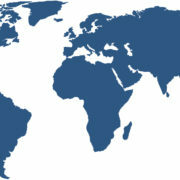 Vysnova collaborates with many local and international partners in the region, including American and European partners. Vysnova’s work in Southeast Asia also includes the Operational Infectious Disease Research – Research Support Across Southeast Asia (SEA) program which operates in Vietnam. Vysnova maintains project offices in Cambodia and Vietnam. With Vysnova’s ongoing and expanding work in the Southeast Region, this new office will provide a focal point of management for all Southeast Asia operations, allowing efficient organization and execution of region-wide programs. Vysnova joins the U.S. 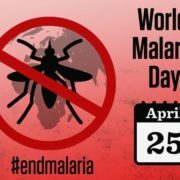 Naval Medical Research Center Asia, CDC, WHO and 100s of partner organizations in promoting this year’s World Malaria Day Theme, Ready to Beat Malaria. This theme underscores the commitment of the global malaria community in uniting around the common goal of a world free of malaria. Vysnova is proud to support Malaria research programs in several countries on behalf of the U.S. Navy. In 2016, there were 216 million cases of Malaria worldwide. In 2016, there were 445,000 malaria-related deaths worldwide. After an unprecedented period of success in malaria control, progress has stalled. The current pace is insufficient to achieve the 2020 milestones of the WHO Global Technical Strategy for Malaria 2016–2030 – specifically, targets calling for a 40% reduction in malaria case incidence and death rates. Countries with ongoing transmission are increasingly falling into one of two categories: those moving towards elimination and those with a high burden of the disease that have reported significant increases in malaria cases. Without urgent action, the major gains in the fight against malaria are under threat. On this World Malaria Day, WHO continues to call for greater investment and expanded coverage of proven tools that prevent, diagnose and treat malaria. Vysnova Partners celebrates African American History Month by honoring the many African American health pioneers and the impact they have had on healthcare and health research. From Dr. Patricia Bath, the first African American female physician awarded a patent for a medical invention and a current advocate of telemedicine and emerging technology in medical diagnosis and treatment, to Dr. Solomon Fuller who pioneered Alzheimer’s research and advanced the study of many other neurodegenerative diseases, African American health professionals have advanced the world of healthcare and health research invaluably. To name a few, other African American innovators of the health industry include Dr. Jane Wright who elevated chemotherapy to a viable treatment option rather than a last-ditch effort at treating cancer, Dr. Charles Drew who led in the storing of blood for transfusions in blood plasma and organized the first large-scale blood bank in the U.S. during WWII, and Dr. Daniel Williams who was one of the first physicians of any race to successfully perform open-heart surgery. Vysnova Partners tips its hat to these and the countless other African Americans who have helped improve the health of the national and global community. 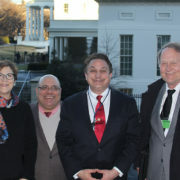 Tuesday, January 9, WHITE HOUSE – Vysnova Partners CEO and President, Carlos Rivera, and fellow members of the Small Business Association for International Companies (SBAIC) met with Deputy Assistant to the President and Deputy Director for the White House Office of Public Liaison Stephen Munisteri, and the U.S. Global Leadership Coalition (USGLC). As current chair of the SBAIC and leader of his second successful small business, Mr. Rivera proudly represented Vysnova and other small businesses, testifying to the important role of small businesses in the global economy as sources of innovation and specialized expertise, agents of increased competition in emerging markets, and supporters of growth and stability in economies and governments abroad. As a professional with more than fifteen years in international development, Mr. Rivera was able to advocate on behalf of small businesses, emphasizing the important role U.S. companies play in advancing U.S. leadership in the global arena, improving national security, and creating more American jobs. Vysnova is proud to support the goals and ideals of small businesses in international development. PHILADELPHIA, PA – November 11, 2017 – Vysnova Partners participated in Philadelphia’s annual Walk to End Alzheimer’s, the world’s largest event dedicated to raising awareness and funds for Alzheimer’s care, support, and research. Alzheimer’s disease is the sixth leading cause of death in the United States, and it’s the only cause of death in the U.S.’s top ten that cannot be prevented, cured, or slowed. Dee’s Memory Squad, including sponsor Vysnova Partners, at Walk to End Alzheimer’s in Philadelphia, PA, November 10, 2017. As Vysnova Partners grows, corporate social responsibility is a value that it aims to uphold. The company seeks new ways to give back to the local community and the international community, especially in health research, care, and support. Vysnova prides itself on being small enough to be able to support issues that are important to its employees. As several of Vysnova’s employees have known or loved someone affected by Alzheimer’s, Vysnova appreciated the opportunity to support a cause close to the hearts of its employees. Vysnova employees travelled to Philadelphia, PA on the weekend of November 11 and sponsored Dee’s Memory Squad, which was a registered team walking for Dee Fynes, a relative of Vysnova COO Dr. John Fallon. Regarding the Walk and the sponsored social events following the event, Dr. Fallon offered that, “Vysnova is honored to dedicate its resources, time, and effort towards such a worthy cause and to specifically support such a beloved family member in Dee. I personally want to thank the Vysnova family for its willingness to spread its core mission of improving public health outside of its immediate work activities.” Dee’s Memory Squad comprised part of the overall 8,465 other participants in a Walk around Citizens Bank Park, sporting flowers to show their connection to the cause. The Philadelphia walk raised $1,32,349.05 for Alzheimer’s Association’s research, prevention, and treatment. 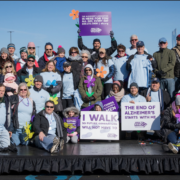 Vysnova looks forward to continuing its support of community and global health initiatives like the Walk to End Alzheimer’s as it plans its next CSR event in the Spring. Vysnova Partners has been selected by the U.S Department of Commerce’s Minority Business Development Agency (MBDA) to receive the 2017 Minority Health Products and Services Firm of the Year Award. This award pays tribute to a minority-owned firm that has improved the quality and delivery of healthcare through innovation. Carlos Rivera, CEO of Vysnova Partners, received the award on behalf of Vysnova on the occasion of the MBDA’s observance of the National MED Week at the National Minority Supplier Development Council (NMSDC) Annual Convention on October 23, 2017 in Detroit, Michigan. 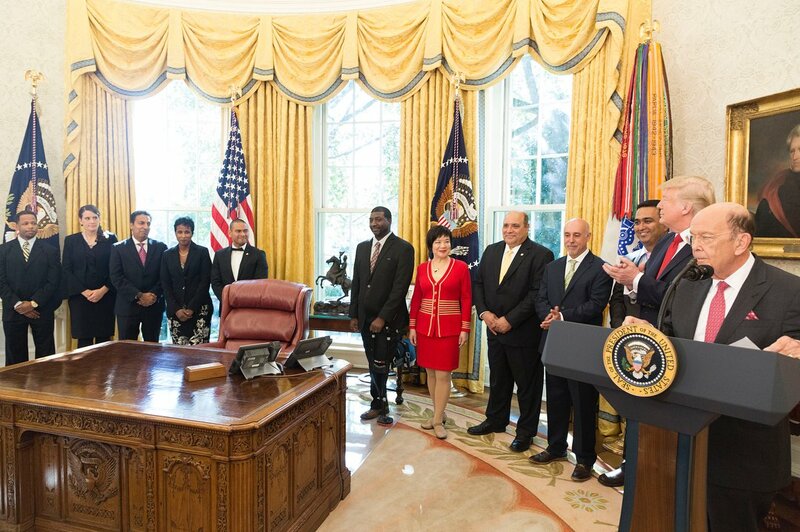 The 2017 Minority Health Products and Services Firm of the Year Award came on the eve of Carlos Rivera’s acceptance of the 2017 National Minority Enterprise Development Award bestowed by the U.S. President Donald Trump at the White House on October 24, 2017. This award recognizes the contributions of minority-owned small businesses to the American economy and prosperity. Since 2012, Vysnova Partners has teamed with both defense and civilian agencies to develop and implement global health initiatives, as well as government operations and acquisition solutions. With a diverse team of project managers and subject matter experts who have worked both with and within the federal government, Vysnova has worked in more than 30 countries initiating and implementing practical solutions in challenging work environments. Vysnova is a leader in infectious disease research against Dengue, Malaria, and Zika in Latin America, Southeast Asia, and Africa. With its expertise in international program management, Vysnova has helped implement projects all over the world for clients like the Center for Disease Control, Department of Defense, and US Agency for International Development, among others. Guided by its extensive experience in providing program management and acquisitions support, Vysnova implements proven solutions that advance the skill-sets and capabilities of the federal workforce. The National MED Week Awards program is a longstanding tradition celebrating the outstanding achievements of minorities entrepreneurs and organizations that have demonstrated their commitment to advancing minority business enterprises and their contributions to the U.S. economy. 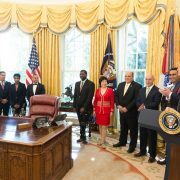 Carlos Rivera, CEO of Vysnova Partners, accepted the 2017 National Minority Enterprise Development Award bestowed by the U.S. President Donald Trump at the White House on October 24, 2017. Washington, DC, October 13, 2017 –(PR.com)– Working KnowledgeCSP LLC, a CVE verified service disabled veteran owned small business (SDVOSB) with specialty expertise in federal acquisition management support and services, announced today that the US Department of Transportation, Office of the Secretary of Transportation (OST), Office of the Senior Procurement Executive (SPE), exercised option years for Acquisition Support on multiple Task Orders supporting the SPE and his staff. The team of Working KnowledgeCSP, Vysnova Partners, and Cadre Acquisition Group is comprised of three Service Disabled Veteran Owned Small Businesses (SDVOSB). Cadre Acquisition Group is also a woman owned small business (WOSB). The principal consultants, Bill Kaplan (Working KnowledgeCSP), Dr. John Fallon (Vysnova), and Karen Bruce (Cadre) have over 90 years of combined Federal acquisition experience. The primary effort is focused on supporting DOT’s acquisition policy development, implementation, and acquisition measurement efforts. The major tasks will continue to be driven by changes in the acquisition process, dollar thresholds for review, guidance from OFPP and other directives. 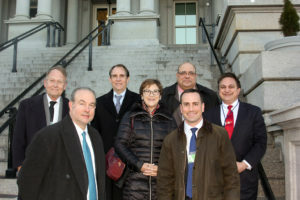 In addition, the team will continue to support DOT acquisition and rulemaking processes as well as updating DOT’s acquisition planning guides and manuals. Working KnowledgeCSP was founded in 2009 by Bill Kaplan, a 25-year Air Force veteran with over 40 years of public and private sector Federal acquisition management, procurement, and program management experience and 19 years of practical knowledge management experience. For more information, visit https://www.workingknowledge-csp.com.